Forex Tester is a great tool for back-testing that every trader should own. It allows you to load history data and test your strategy with real data. You can place trades just like in real environment. I highly recommend this tool for any trader who is serious about their trading and wants to become successful. You can get this tool here. 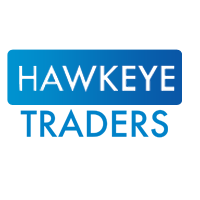 HawkEye Traders have a variety of useful tools for traders. Their Starter package is a great place to start using their products as it includes 5 indicators including Volume, Volume Paint bar, Volume Radar, Pivot Points and Widebar. They also include their free Volume Secrets ebook which explains the tips and tools the world’s top traders use. You can access it here.